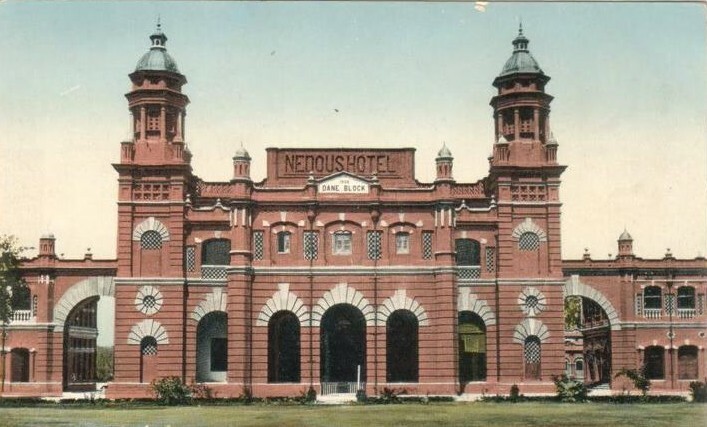 This entry was posted in Anarkali, Architecture, heritage, History, Lahore and tagged Avari Hotel, Dinshaw, heritage, Hotel, hotels of lahore, Lahore, Nedous Hotel Lahore, Park Luxury Hotel, Photo of the Day. Bookmark the permalink. I do remember Park Luxury Hotel as a young man. It was a bad decision of the time to completely demolish it and construct the present Avari Hotel. The decisions makers of the time should have kept the exterior the same & modernize/rebuild the interior living space. 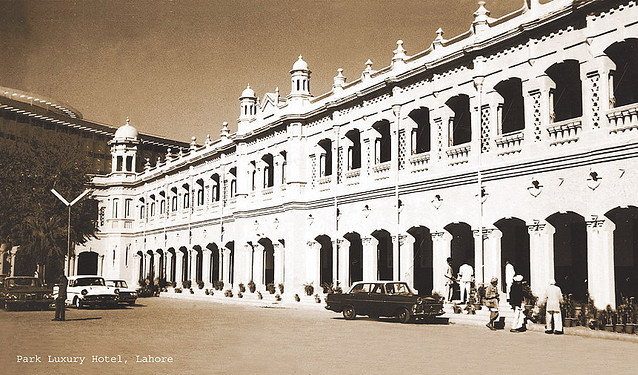 But I suppose that lot had least love for the history of Lahore. I saw the Akbari Gate dismantled in 1957/58 to accommodate the second carriageway of the circular road. 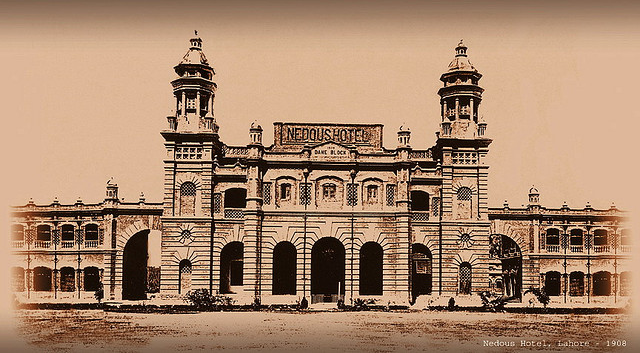 What we have done lately to the old Lahore and its beautiful buildings is no secret. Why do we need to have all the markets in old Lahore is not understood by me? Why the Rulers have their eyes shut to the destruction of our heritage is a mystery for me? I do recall events of the recent past when the Lahore Canal Road was being widened, there was lot of uproar to protect the trees. Trees can be replaced but the historical building can not be replaced. Why don’t we wake up do something constructive?